In an anti-bacterial age, fermentation is quickly becoming a lost art. Edible Alchemy is here to reclaim it as an energy efficient food-preservation technique which is rooted in our cultural histories. Edible Alchemy is captivated and inspired by the way fermented foods engage our senses and enhance whole food eating. Hey there...before you continue on...I would be delighted if you would join my community so I can send you cool things like recipes, some "behind the scenes" looks and so much more. Also I love to answer all the questions you might have about fermentation or probiotics. Click Here to gain access to the inner community & GET 3 FREE PROBIOTIC RECIPES!. 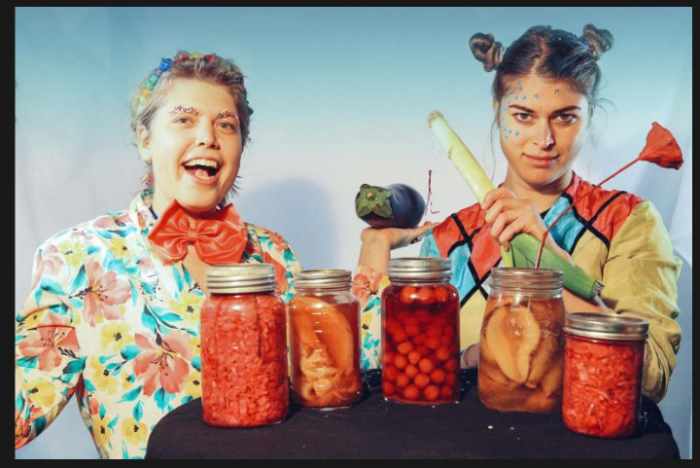 In the winter of 2012, Alexis and Natalie hatched the idea of Edible Alchemy....The project aimed to encourage conversations, experiments and a greater understanding about the microbes that make fermented foods so special. 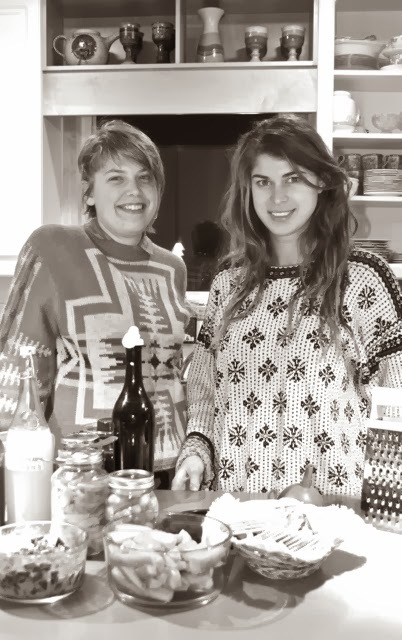 Edible Alchemy was co-founded by Natalie Elizabeth and Alexis Goertz in Winnipeg, Manitoba Canada in January 2013. Both of us young Mennonite girls have been collecting various bacterial cultures in and along our travels, inventing new recipes and experimenting endlessly. We two came together to host workshops in order to teach others about the possibilities and inevitabilities of the microbial world, which lead to a spread of ventures including, ‘The Probiotic Bacteria Bar’, talks and discussions, European and Canadian tours, radio and TV interviews and much more. 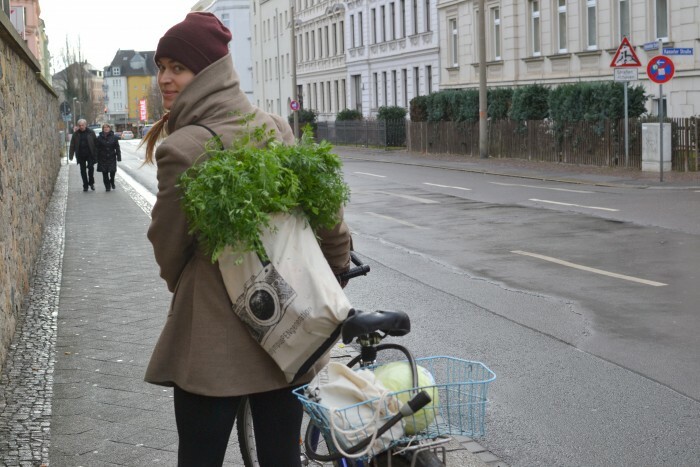 Alexis: I moved to Berlin in 2014 and in September brought the first ‘Bacteria Bar’ to the alternative city to see if there was any interest. Undoubtedly there was a large following, and thus started the expansion of Edible Alchemy CoLaboratory over two continents. Like most of us, I have been consuming fermented foods for a while before I even knew what ‘fermentation’ was. Chocolate, homemade pickles, my grandpas’ wine, and all those tasty sweet and sour foods I’ve had the opportunity to taste around the world. I am a globetrotter and nomad, which has led me to explore 35 countries in the 25 years of my life. One of the most impacting being Mozambique where I lived for one year in a small village called Machanga. This community didn't come equipped with fridges, electricity, running water… let alone any native English speakers. It was one of the most intense and beautiful learning years of my life. Throughout this year I was unknowingly exposed to many different kinds of drinks and foods that were fermented in order to enrich the nutrients and to preserve them from spoilage with the on going heat. 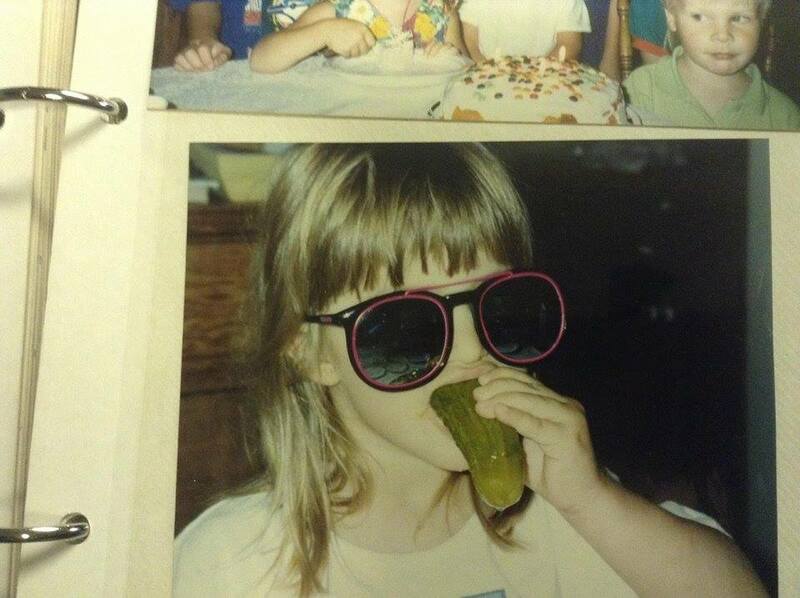 Some of these foods were strange on first taste, but were soon so appreciated and craved. My favorite being ‘Maheu’ a fermented maize drink that was thick but sparkling and best with a spoon of sugar. This drink was ready for all, including kids after a coupe of days, and only available for the elders after some more days of fermenting as it turned into a grey very alcoholic sludge called ‘Shambuku’, which yes, I also had to try and felt dizzy after the first, and only glug. Natalie: I hail from a family farm in southern Manitoba where, as a child, I was often found crouched in the dirt, overturning rocks to discover the smaller forms of life flourishing underground and out of sight. Throughout the years, I have bounced back and forth between remote locations and densely populated urban areas to co-create spaces where people can connect with the natural world. Edible Alchemy feels like an expression of the way Alexis and I live our lives. We’ve always been people with a lot of ideas and projects, who would take whatever resources were available to us and transform them into something else. Our interest around fermented foods came around the same time, in our early twenties when we were starting to explore places in the world far away from where we grew up. We were living rurally in communities where people were using the low-tech methods of fermentation to make food more nutritious. Alexis and I both have an affinity towards finding creative ways to follow and fund our passions. We always have a million projects on the go, we travel a lot. When we hosted our first Edible Alchemy event in January of 2013 I was apartment sitting while a friend was out of town and Alexis was working in Winnipeg before going to Quebec for the summer. We screen-printed and bound little booklets of recipes, techniques and collages. Most of the snacks and ferment samples were made out of food that we dumpster dived. We spent very little money on materials and instead based our whole business on trading/harvesting/recycling as a way to make a profit and put on our next events. The response from folks was really positive and we started hosting events in all different locations like studios and farmers markets, selling our zines at stores and delivering our cultures to people’s homes by bicycle. Our journey with fermentation has been, just like bacteria’s and yeasts, ever changing, forming, proliferating and expanding. During and between travels we both studied with the University of Winnipeg graduating with a Bachelors in International Development. Culture is our passion and on discovering fermented foods, we realized it all goes hand in hand. Every culture in the world has something that is fermented. There has not been a found culture where fermentation is not used at all. If any culture did exist without fermented foods, it would be our Western Culture, which has become largely out of touch with our microbial world and lean easily towards processed, packaged, pasteurized and fast food lifestyles. We are farmers, scavengers, gleaners and microbiological enthusiasts with a curious set of taste buds. It holds an infinite appeal to eat unusual things, things that are often overlooked and discarded but have unique tastes and textures. A modern, highly processed diet excludes a lot of things people used to eat more commonly in North America and still do more often in other parts of the world. The forgotten foods are usually the most nutritious items like organ meats, fruit and vegetable skins, fermented foods, insects, and wild edibles like fungi. When we launched the Edible Alchemy project there were many visions for what it could become. 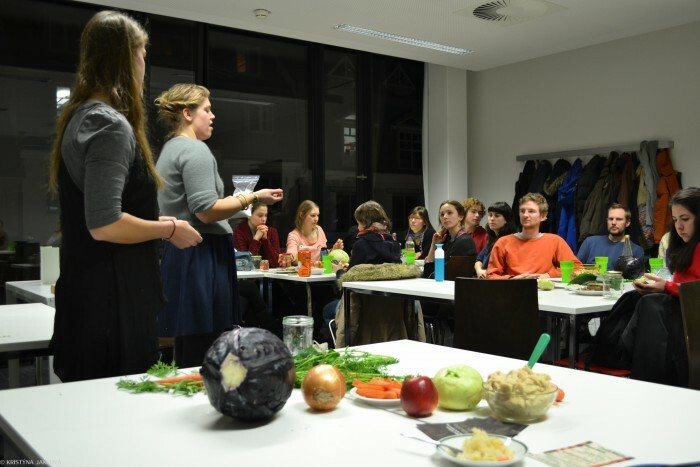 The project aimed to encourage conversations, experiments and a greater understanding about the microbes that make fermented foods so special. We also believe in reducing food waste while supporting local food production so we use the principles of fermentation in creative ways to adapt to shifting supplies and changing seasons, making one-of-a-kind products for one-of-a-kind experiences. Fermentation is just one tool in a basket of food skills that help reduce environmental impact and promote a holistic understanding of how microbes influence the world around us. 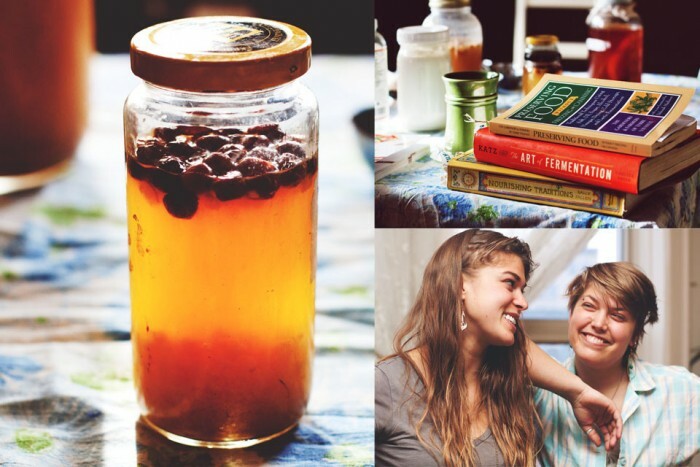 Our mission to engage with people about fermentation wherever we can turned us into ‘culture dealers’ where we deliver small jars of fizzing substances (by bicycle of course), ‘bacteria baristas’ where we serve up herbal, cultured elixirs at art shows, festivals & special events, workshop facilitators, and now extending to give this online course to spread the bacterial knowledge worldwide. Our rag-tag, shape-shifting crew has developed an international flavour, with projects and collaborations bubbling to the surface in Canada, USA, Germany, Hungary, Romania, Sweden and beyond. Edible Alchemy CoLaboratory is a platform to promote healthy lifestyles, food skills and creative experimentation through fermentation. Fermentation can be a pretty broad category but a biological definition of refers to anaerobic metabolism - the production of energy from nutrients without oxygen. In practice this often means chopped vegetables submerged in brine (salty water), conditions where, lactic microbial organisms develop spontaneously and convert the natural sugars present into lactic acid. Explorations in the history of food and culture have led me to discover interactions and relationships between people and their sources of nourishment. I think that fermentation is a perfect medium for exploring that relationship, a food preservation method that is inherently safe because of the acidification process and activities of beneficial, probiotic organisms. You can taste it every day and see how it changes over time, transformations that are influenced by its environment: moon cycles, regional yeasts, and humidity. Working with fermentation is an accessible way to have a little laboratory in the kitchen, we love doing experiments and seeing people get really excited about taking back traditional food, reskilling to create self-reliance. TNN – PODCAST 2015 The Natural Nutritionist - Podcast with Edible Alchemy! HeadsUp Berlin! 2015 Intro to fermenting! PALEO TREATS BLOG 2015 How Is Fermentation Paleo!? A Mention As The Latest Trend For 2014 In The MANITOBAN Newspaper:Check Us Out! Hey there...before you go..I would be delighted if you would join my community so I can send you cool things like recipes, some "behind the scenes" looks and so much more. Also I love to answer all the questions you might have about fermentation or probiotics. If you were to test a ferment using pH strips you would notice that after a few days the brine would become more and more acidic as the organisms multiply (though funnily enough it is alkalizing to the body). Essentially you are “culturing” or “inoculating” different mediums - fruit, vegetables, milk, grains, nuts, whatever with beneficial bacteria that keep away-unwanted organisms that cause spoilage. Lots of fruits and vegetables have natural yeasts and soil bacteria so you don’t need to introduce these beneficial bacteria (but it does decrease the risk of spoilage and allow you to build on flavours), you can just make a brine or seal them up with spices, etc. but others like milk require a starter and a bit of tending to like soda pop where you need to stir to incorporate the yeasts in the air before it’s ready to be bottled. Hey there…before you continue on…I would be delighted if you would join my community so I can send you cool things like recipes, some “behind the scenes” looks and so much more. Also I love to answer all the questions you might have about fermentation or probiotics. Click Here to gain access to the inner community & GET 3 FREE PROBIOTIC RECIPES!. 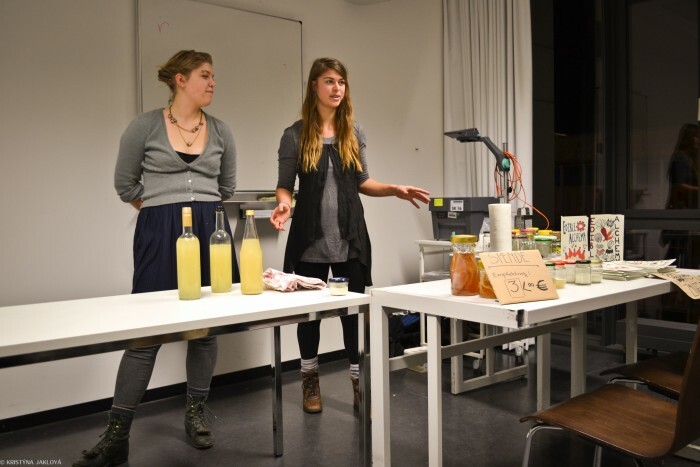 In the winter of 2012, Alexis and Natalie hatched the idea of Edible Alchemy….The project aimed to encourage conversations, experiments and a greater understanding about the microbes that make fermented foods so special. One of the most impacting being Mozambique where I lived for one year in a small village called Machanga. This community didn’t come equipped with fridges, electricity, running water… let alone any native English speakers. It was one of the most intense and beautiful learning years of my life. Fermentation can be a pretty broad category but a biological definition of refers to anaerobic metabolism – the production of energy from nutrients without oxygen. TNN – PODCAST 2015 The Natural Nutritionist – Podcast with Edible Alchemy! Hey there…before you go..I would be delighted if you would join my community so I can send you cool things like recipes, some “behind the scenes” looks and so much more. Also I love to answer all the questions you might have about fermentation or probiotics. Click Here to gain access to the inner community & GET 3 FREE PROBIOTIC RECIPES!. Essentially you are “culturing” or “inoculating” different mediums – fruit, vegetables, milk, grains, nuts, whatever with beneficial bacteria that keep away-unwanted organisms that cause spoilage.